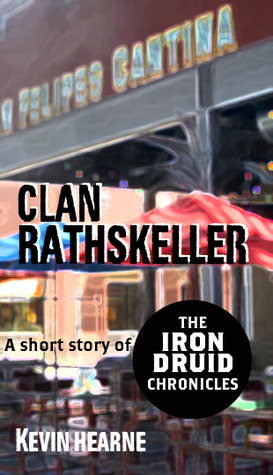 Clan Rathskeller is a short novella about Atticus O’Sullivan and his loyal – and sometimes snarky – wolfhound Oberon. It is relatively short, humorous, and will mainly appeal to those with an emotional attachment to the two characters of the ongoing series. For those unfamiliar with The Iron Druid Chronicles, the stories spotlight twenty-one-centuries-old Atticus, the last of the ancient druids. He lives a rather uncomplicated life in Tempe, Arizona as the owner of an occult bookstore and tries to behave as a normal, twenty-something, single man. The only complications arise when ancient Celtic gods, goddesses, and mystical creatures start involving him in their problems, then things get really crazy, really quickly. Here Atticus and Oberon are hanging out in a shopping area in Phoenix during Christmas time. They are minding their own business, walking around taking in the sights and sounds of the holiday when Atticus notices that Santa’s elves are actually gnomes! When these little guys mistake him for someone they are supposed to meet for a swap of mystical items, he politely corrects their error but then hangs around to see exactly what is going on. From this setup, Mr. Hearne delivers a nice adventure story, filled with gods, mystical creatures, and Atticus and Oberon’s always funny conversation. Clan Rathskeller doesn’t really add anything to the ongoing series or the characters, but it is a fine urban fantasy novella to pass a little time with. 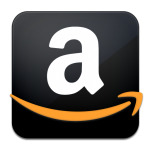 This entry was posted in 3 Stars, Short Stories, Urban Fantasy and tagged Atticus O'Sullivan, Clan Rathskeller, Irish Wolfhound Oberon, Kevin Hearne, The Iron Druid Chronicles. Bookmark the permalink.